Having a pool can be a wonderful thing, especially in the hot summers. But over time, the constant maintenance and lack of space may overwhelm homeowners. At that point, it’s time to consider hiring a pool removal contractor to get rid of the pool and create more space in your backyard. There are two options for inground pool removal and endless options for what to do with your newfound space. Here are a few of our favorites. 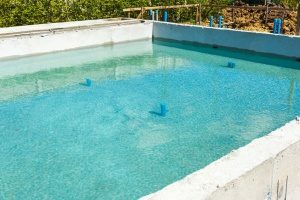 What Kind of Inground Pool Removal is Right For You? First, it’s important to determine what kind of inground pool removal you would like completed in your home. Both have their pros and cons, which should be considered when deciding. In a partial pool removal, only the top 18 inches of the pool are torn out. The rest is backfilled. Partial removals are a good option for homeowners who need their pool gone as quickly as possible. However, they have more limited options when it comes to what they can do with the new space, as living areas cannot be placed on a partially-removed pool. A partial pool removal can take between two and five days. Full removals are more expensive, but they provide homeowners with more options, as living areas are safe to build on fully-removed pools, which are fully demolished and filled in using this method. It can take up to seven days to complete and is often necessary for pools that have steel collars or walls. Despite the cost, full pool removals are often preferable to partial removals, as there is a smaller margin of error during the filling and compacting processes. Building a retaining wall can be an easy way to transform your new backyard. The material you choose to build your wall, from classic brick to rough-hewn rocks, can be a beautiful visual decoration for your yard. More practically speaking, a retaining wall will divide your yard into two levels, each of which can be used for different purposes. The multi-level approach provides you with more options when it comes to renovating the yard, as you won’t have to choose just one new feature to include. This can be especially attractive for small backyards that were previously dwarfed by the pool. A garden can be placed on both partially- and fully-removed pools, making them a very versatile option for your newly-expanded yard. Flower gardens can add beautiful color and also attract honey bees, which are in danger of disappearing thanks to overdevelopment. A garden can also include fruits and vegetables. 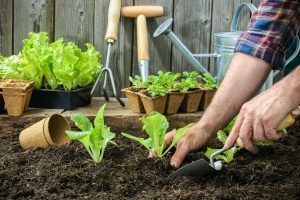 Home-grown produce often tastes better than the store-bought variety, and because you know exactly what is being used to grow them, they can be a healthier, pesticide- and chemical-free alternative. You may also consider planting a tree or two to create a shady refuge that can be enjoyed during the spring and summer. Fully-removed pools can sustain dwelling areas, so if you’ve been considering a remodel, now may be the time to do it. With more space in the backyard, homeowners can add extra bedrooms, living rooms, and whatever other housing extensions they can imagine. This can add extra value to your house and provide more space for a growing family. Homeowners who opt for a partial inground pool removal instead aren’t entirely out of luck. While these removals cannot hold a living area, they are perfectly safe for smaller structures, such as sheds. By moving more items out of the garage and into a shed, homeowners can create more space for storing cars, bikes, and other items in their garages, keeping things more organized and easy to find than before. Families with small children may decide to remove their pools due to the dangers of drowning if the pool remains unsupervised. Using the newfound space to construct a safer playground for these children can be a wonderful idea. Thanks to the new play equipment, children may be more likely to spend less time indoors and more time getting exercise and being active outside. Swing sets, slides, and more can easily be installed, and there are many all-in-one options that include a variety of swings and even elevated playhouses all in one structure. Playgrounds can make your home a popular place for children to hang out, keeping them safe at home while still providing a perfect opportunity to spend time with friends. For entertaining adults, a brand new patio can be an attractive use of space previously taken up by a pool. 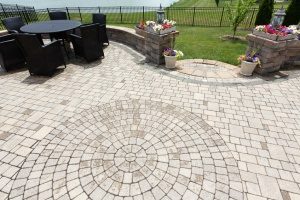 Brick or concrete patios are relatively inexpensive and easy to install, and both can match almost any aesthetic. Homeowners can also choose to install an elevated wooden deck instead for a more natural look. Either option can be gated to keep pets out while still allowing people to enjoy dinners and happy hours outside. Patios can be decorated with tables, lounge chairs, umbrellas, canopies, and even elegant heating units that reflect your style, making them a cozy extension of your home out in the fresh air. A patio area can also contain grills and fire pits, making them a great place around which to congregate for cookouts and warm-weather parties with friends and family members. Dirt Connections offers partial and full swimming pool removal services, provides all materials and equipment necessary for inground pool removals, and also completes free estimates for all services. Get in touch with an inground pool removal contractor today to discuss your pool concerns and to determine whether removal services are a good option for you. Dirt Connections serves homeowners in the Northern Virginia area and has 30 years of experience providing homeowners with affordable, dependable inground pool removal, remodeling, pipe work, and more.